To celebrate the start of the Empire Flying Boat Service 80 years ago, we are offering two copies of Geoffrey Pett’s memoir in a Goodreads Giveaway during June. 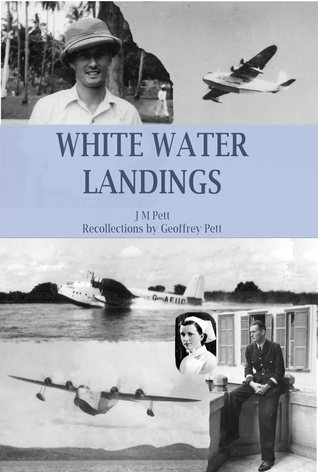 After his recruitment and training by Imperial Airways, Geoffrey was sent out to Africa aged just 22, to set up ground stations on the new flying boat route operated by Imperial Airways from London, England to Durban, South Africa. In the book, he talks in detail of setting up the station at Lindi, on the coast of what was then Tangyanika and is now Tanzania. 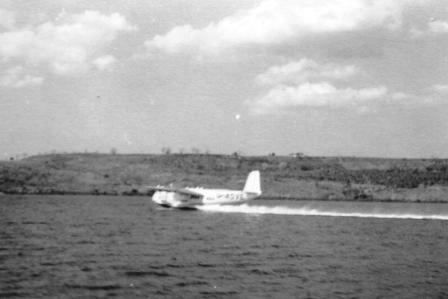 There was great excitement on the day we had our first flying boat land. It was coming southbound from Dar Es Salaam and everything went according to the plan we had always thought of. Except, of course, that the locals were most intrigued to see the flying boat land and to see what went on. Everything to them was so new and so amazing because they’d only ever been used to the once-a-month coastal steamer coming through, or there might have been some trading dhows coming down from the Red Sea but that was all. To have this flying boat coming in and landing, the magnificent flying machine coming down and landing on the water, beautiful spray coming up till she’d settled down. And then taxiing to the moorings we’d laid, which were satisfactory, which were picked up well and truly by the radio operator; the launches operated well and truly, and, you know, the customs officer came on board with us on the auxiliary launch, and the port health officer came on board in order to inspect health documents, and everyone was exceedingly happy! Enter the Giveaway using the Goodreads link below. Entries close at midnight (Pacific Time) July 1st 2017. Giveaway ends July 01, 2017. Can’t wait for the giveaway?